Here is the poster from the upcoming film GRETA . The film is directed by Neil Jordan (“The Crying Game”), starring Isabelle Huppert, Chloë Grace Moretz, Maika Monroe, Colm Feore, Stephen Rea. Focus Features will release GRETA in theaters on March 1, 2019. Here is the trailer from the upcoming film “IT FOLLOWS”. The film is directed by David Robert Mitchell, starring Maika Monroe, Keir Gilchrist, Daniel Zovatto, Jake Weary, Olivia Luccardi, Lili Sepe. After a strange sexual encounter, a teenager finds herself haunted by nightmarish visions and the inescapable sense that something is after her. 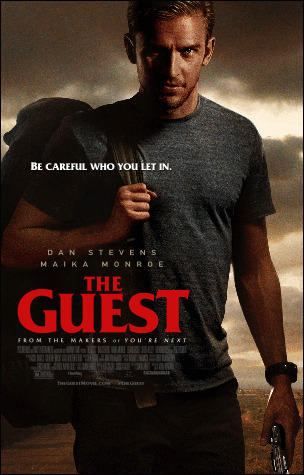 Here is the poster from the upcoming film “THE GUEST ”. The film is directed by Adam Wingard, starring Dan Stevens, Maika Monroe, Leland Orser, Sheila Kelley, Brendan Meyer and Lance Reddick. Picturehouse will release THE GUEST in theaters September 17, 2014. Here is the trailer from the upcoming film “THE GUEST”. The film is directed by Adam Wingard, starring Dan Stevens, Maika Monroe, Leland Orser, Sheila Kelley, Brendan Meyer and Lance Reddick.